When these (cookies) are in the oven, the aroma in the kitchen is sublime! The rich batter is a perfect host for pinenuts, dried apricots, and orange zest. Cornmeal rounds out the flavors and gives a little extra texture. Bake them for breakfast, lunch, or after-dinner treats. Biscotti plus cappuccino: perfection! Another nod to San Francisco’s Bi-Rite Market’s cookbook which served as inspiration. 1. Preheat the oven to 350 F, place the rack in the center of the oven, and line a baking sheet with parchment paper. 2. In the bowl of a stand mixer beat the butter and sugar until fluffy. Add the eggs, one at a time, continuing to beat until fluff. Scrape down as necessary. 3. In a medium sized bowl combine the flour, corn flour, corn meal, baking powder, xantham gum, and salt. Whisk to blend. Add to the butter mixture, mixing on low until the dough comes together, scraping down as needed. 4. Add the pinenuts, apricots, and orange zest. Mix on low speed to evenly incorporate. 5. Turn the dough out onto a GF floured surface and roll into a 14″ “log”. Transfer the dough to the baking sheet (you may have to put it on the diagonal to accomodate the length) and form into a loaf 1″ thick. 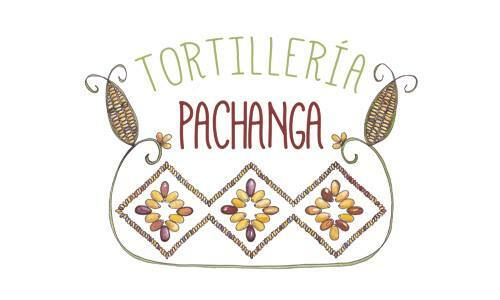 Pat with an egg wash or a little cream and sprinkle with granulated sugar. Bake at 350 F for 50 minutes. 6. Let the loaf rest our of the oven for 20 minutes before cutting into 1″ slices. Go slowly and gently using a serrated knife to prevent breaking the biscotto. Turn them on their sides and bake for 10 minutes; turn them on the other side and bake for another 10 minutes. Cool before serving. Note: These are generously sized biscotti. If you want to make them smaller, form the dough into two 9-10″ logs, pat out to 3/4 ” thick rectangles and bake at 325 for 45 minutes. Let rest for 20 minutes before gently cutting them into 3/4 inch slices and continuing the baking process. Ready for the third round of baking – kitchen smells great! 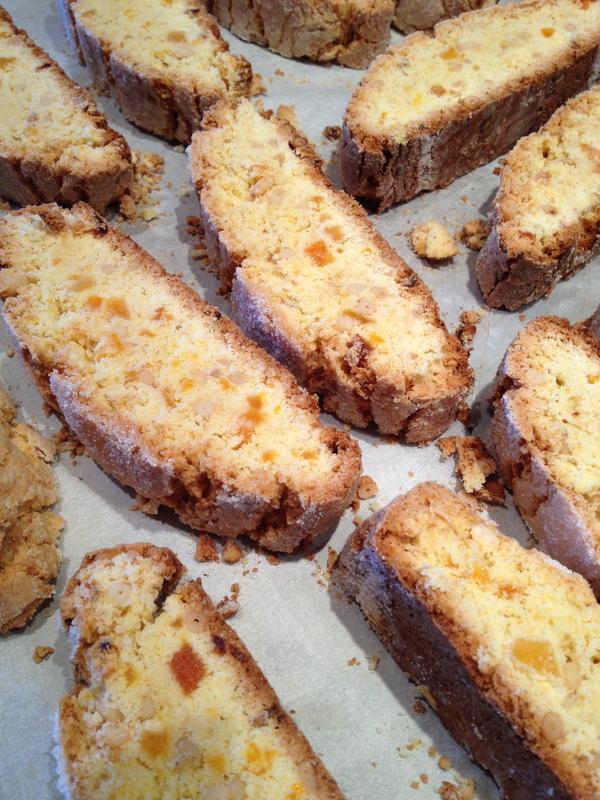 Tags: GF Orange Apricot Biscotti, Gluten free Biscotti, Orange Apricot Pinenut Biscotti. Bookmark the permalink. You created a recipe for biscotti. YAY! Where’s my espresso? I have not tried making biscotti before, thanks for sharing the recipe, I will try to bake up some of these amazing goodies!